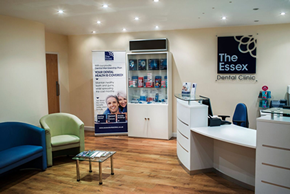 The Essex Dental Clinic is passionate about educating and treating children in all aspects of good dental health. We are a family-friendly dental practice and are delighted to welcome many children through our doors. At The Essex Dental Clinic, our children’s dentistry services include preventative treatments such as fissure sealants, fluoride treatment and providing mouth guards for sport activities. 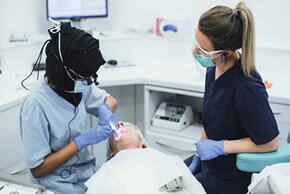 We also offer an extensive range of restorative services including fillings, stainless steel crowns, extractions and pulpotomies (the removal and sealing of the pulp chamber in a child’s baby or milk teeth). Our younger patients can join the Junior membership plan and will be offered one hygienist session a year for oral hygiene advice, including disclosing, toothbrushing, cleaning and scaling. They will also get priority booking of early and late appointments. 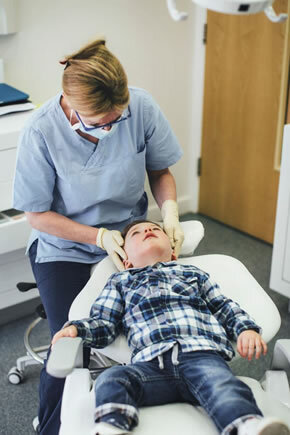 At The Essex Dental Clinic, we also believe that it is important to work closely with parents and advise them on how they can best help their children clean their teeth and look after their children’s diet to prevent decay. As a mum of three boys, dentist Louise McAllister is very proactive about promoting good oral hygiene in children. She encourages parents to bring their children to the clinic from an early age in order to build up their confidence and ensure that they are never scared. Louise regularly visits local schools for reception classes to role play a visit to the dentist. In addition, she speaks to Year 3 pupils about teeth and gums as part of Key Stage 2 Science, and attends Year 6 forensic science days. Louise also gives sixth formers valuable advice about interview techniques when applying for places at university to study dentistry. 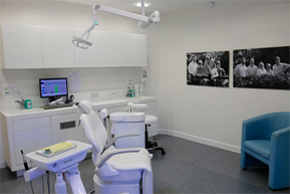 When it comes to children’s orthodontics, we only deliver the best service and treatment. 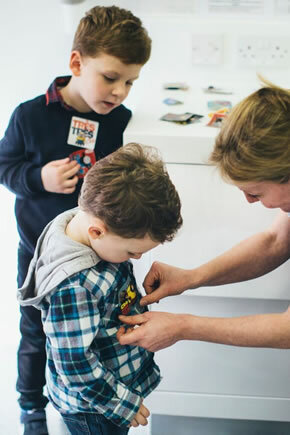 We assess each child's needs and refer them to a specialist orthodontist based in Colchester who the practice works closely with and is highly recommended.